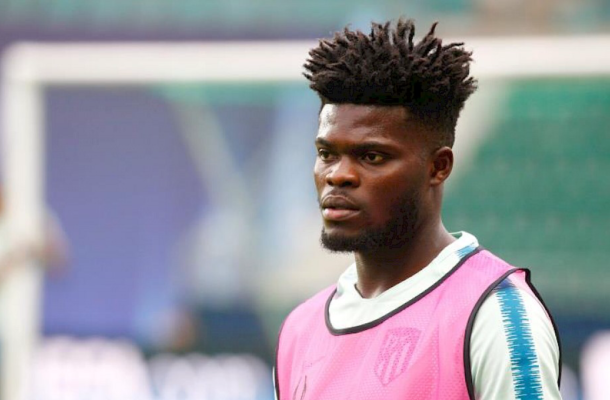 Thomas Partey has been one of the outstanding players at Atlético de Madrid in the ongoing 2018/19 season. The Ghanaian international is part of the midfield pivot with Rodri that has been praised by Diego Simeone. As for the good values ​​of African football, Thomas ended up admitting that there is some devaluation of the players that emerge from that continent. "Normally European players are valued more than African players. We have already had many quality players like Yaya Touré and Michael Essien, who end up being seen as 'good', only. As they come from Africa, they are not placed at the level of a Modric, Messi or even Cristiano Ronaldo. " He went on to say that "the examples of Eto'o and Drogba are good: they scored many goals and could have won the Golden Ball, but never placed them at that level", he ventured in an interview with Mundo Deportivo. Born in Ghana, Thomas Partey arrived in Spain with 17 years to complete the training at Atlético de Madrid. After a loan to Mallorca and Almeria, he joined the main team of the colchoneros in 2015, and counts 125 games.